Living with a roommate means sharing responsibilities and splitting costs. Chief among those responsibilities are rent and housing-related finances. For example, how do you handle the security deposit? Should your roommate pay more if she gets the larger room? Determining how to handle these costs should be the first order of business for you and your roommate. 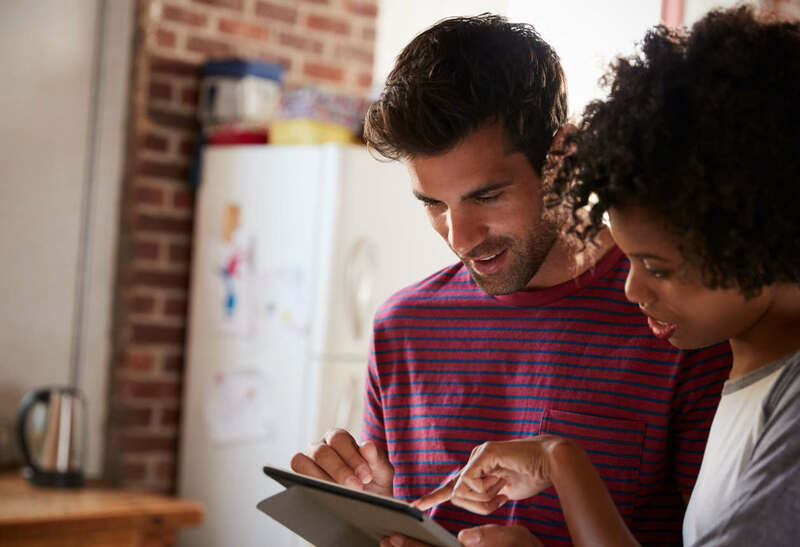 Once you figure out the specifics of shared expenses, there are plenty of roommate apps to help you stay financially accountable to one another and make sure all your bills are paid on time. When I first moved to NYC, I sublet a tiny room that barely had space for a single bed. My roommate had a significantly larger bedroom with an ensuite bathroom. A month in, I realized we were paying the same amount in rent and I was livid – surely she should be paying more! When there are large variations in living space, it only seems fair that each person’s portion of the rent bill should reflect the pluses and minuses of their room. There are a couple ways you can go about making sure everyone is paying their fair share. Make roommates’ rent directly proportional to the size of their private living space. Take the square footage of each bedroom and divide it by the total square footage of both, then multiply this by the total cost of rent each month. So, for a $3,000 per month apartment with 1 bedroom that measures 190 square feet, and another bedroom that measures 230 square feet, the roommate with the smaller bedroom would pay 45 percent of the total cost of rent, or $1,357, while the roommate with the bigger bedroom would pay 55 percent of the rent, or $1,624. >> How Much Can I Actually Afford to Spend on Rent in NYC? OK, that example was easy. But, what if your roommate has a walk-in closet and ensuite bathroom, and you’ve got bupkis? How do you account for these sorts of details? There are some general rules of thumb that can help you sort out these differences. For an ensuite bathroom, tack on a small fee of two percent. In the case of a $3,000 dollar apartment that would be $60. Treat walk-in closets just as you would regular bedroom square footage. Add up the total square footage of each bedroom, including closet space, and then divide by the total square footage of both rooms combined. And all those charming details? Exposed brick? Fireplace? A view? Just add an extra percent. In the case of a $3,000 apartment, that would be $30. If you prefer not to get too technical with the square footage calculations, you can simply split rent evenly, with the expectation that the roommate with the larger room will cover cable, internet and electric bills. That way, the roommate with the perks is still shelling out a bit more each month as a way of acknowledging that they have the nicer bedroom. The simplest way to manage a security deposit is for each roommate to put in the same amount when the lease is signed. Then, upon moving out, redistribute the funds equally. This approach gets complicated, however, when part of the security deposit is withheld because of damage one roommate caused, or if one roommate moved out and the remaining person on the lease found a new roommate. If part of your security deposit is withheld because of damage you believe is your roommate’s fault, you’ll likely need to have a frank conversation with them. You’re well within your rights to ask that roommate for a reimbursement of your portion of the deducted funds. If your roommate moves out before the lease is up and wants their portion of the security deposit back, things can get a little tricky. The simplest thing to do is have the roommate who is moving in pay the roommate who is moving out. In this scenario, the old roommate gets a sum equivalent to the original security deposit and the new roommate will get a share of the original security deposit back from the landlord whenever you two decide to move out. 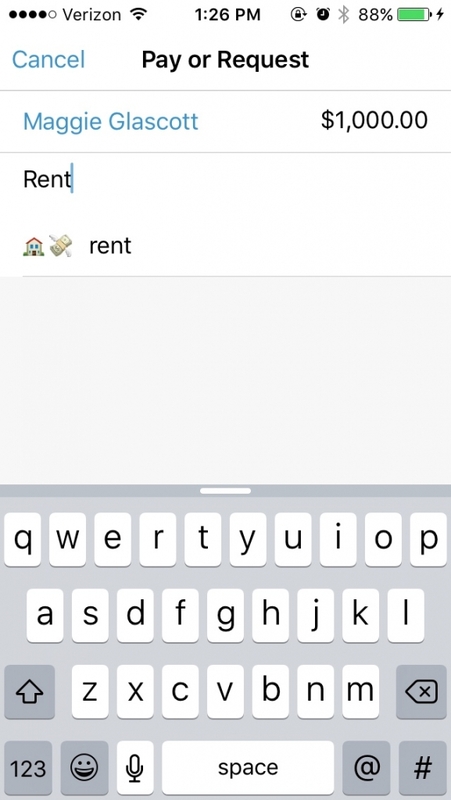 Once you figure out how to manage issues like proportional rent and expectations for the security deposit, there are quite a few handy apps to help you and your roommate manage the financial responsibilities that come with renting an apartment. Splitwise allows you to input the total amount of one or more bills, divide up the expenses either equally or by percentages, and then request those funds from your roommate. You can’t pay in the app, however, so you will need to resort to tools like PayPal or Chase QuickPay to actually transfer the cash between accounts. Venmo lets you charge or pay your friends on a platform that’s as easy as texting. Say you just covered the full cable bill and want your roommate to pay you back: simply charge him or her for their portion of the bill on Venmo and they will receive a popup notification reminding them to pay you. The best part of Venmo is that payments can be in your bank account as early as the very next day, assuming you cash out before 7 p.m.
HomeSlice allows you to create a network for just you and your roommates that will help you keep track of supplies as well as responsibilities. It will alert you if you are running low on toilet paper or if it’s your turn to take out the trash. Enter in due dates for all your monthly bills and the app will remind everyone in the network when it’s time to pay up. Like Splitwise, there is currently no way to do in-app payments, but HomeSlice can easily be used in tandem with services like Venmo and PayPal.